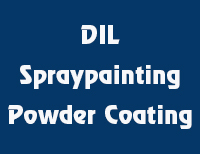 DIL Spraypainting and Powder Coating specialises in Wet Spray Powder Coating. We provide a high quality finish that renews interior surfaces at a high professional standard. We have product options to suit your budget and your required finish. With our quality workmanship, we'll restore your furniture, doors, and kitchen surface to their original surface and condition. We are your experts on Wet Spray Powder Coating. Based in Wiri, Auckland, our dedicated team offer efficient and high quality spraypainting and powder coating services. If you're looking to restore your furniture, doors, and kitchen surfaces, then look no further. Get in touch with us today.